You Win Some, You Lose Some. Aaannnd you lose some. 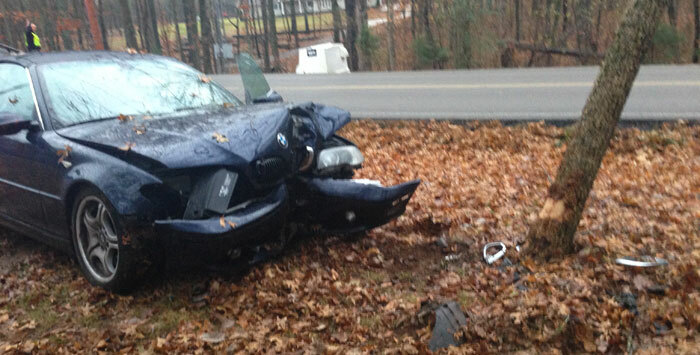 Yesterday morning, I woke up to a sad situation. 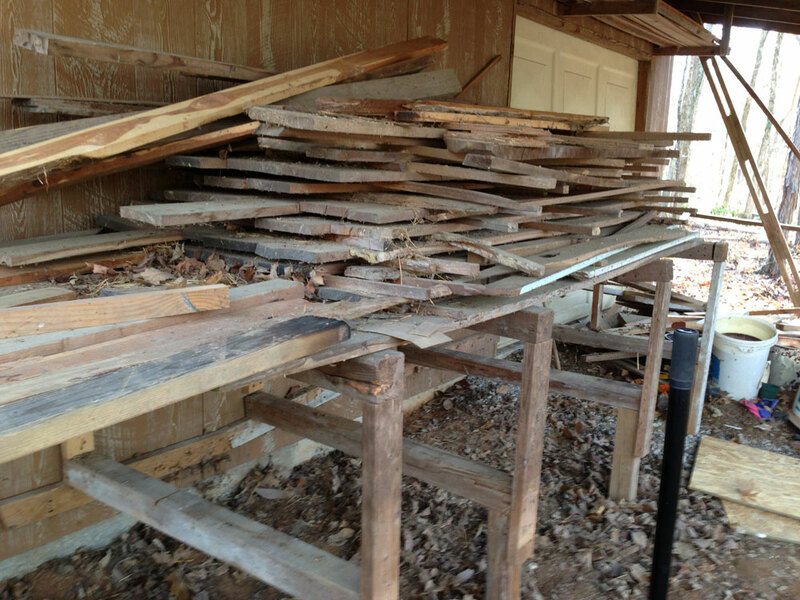 Behind my barn, there was a pile of wood and junk under an awning, and the previous owner had built a structure that was sort of an incomplete workbench to support said wood. I should have taken a picture before I cleaned out a huge amount of garbage, because you couldn’t even see the supports at the bottom. I ended up having to jack some of the supports up, because they’d ripped away from the wall where they’d been nailed. 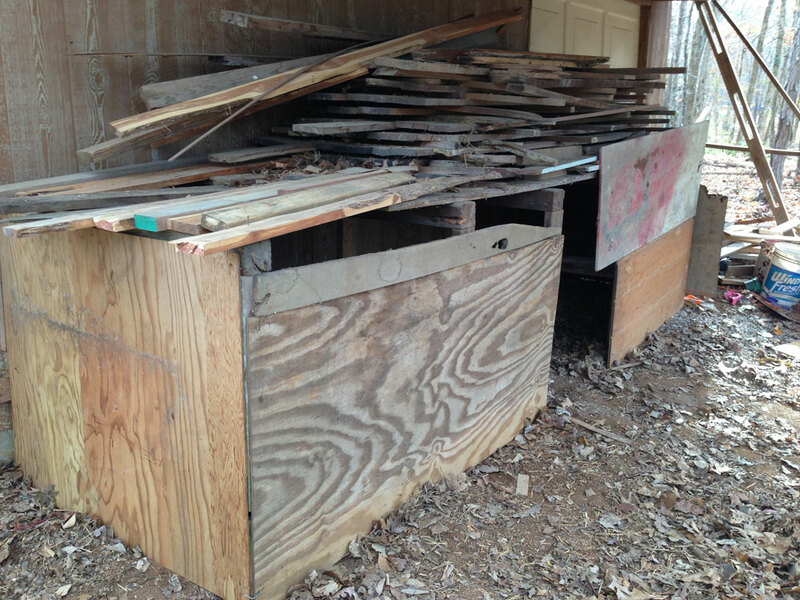 It’s still not that sturdy, but remember, this is a temporary coop. Luckily, considering this started as a giant pile of wood, there was some scrap pieces that were perfect for this endeavor. There were also some old posts in the pile, and I dug some holes with our post hole digger (included in the purchase of our house!) at the corners of the new temporary run. Unfortunately, because we’re on a big ol’ slab of rock, I could only get about 8 inches into the dirt before the solid clank of the metal tool hit stone and signaled the end of the road. If I were smart, I’d probably search around for better ground. But instead, I filled the dirt around the post as best I could and tied them to trees. Remember – temporary. For the permanent coop, I’ll probably need to pour a little concrete. But don’t worry – I’ve poured a ton of concrete. Like, a literal ton. After the awkward tied-up posts, I added chicken wire. I’m starting to hate chicken wire. It’s crazy hard to keep straightened, and it’s pokes the crap out of me when I’m handling the ends. In the future I’ll probably use hardware cloth, which is the worst name in the world for fence material, because it sounds like it’s metallic fabric. Like it’s the kind of thing I’d use for making pants if I was in a glam rock band. 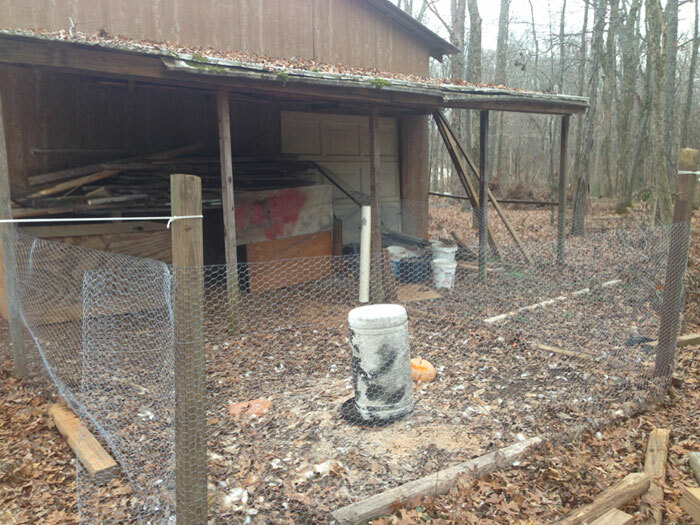 So, as shabby as it is, the temporary coop and run is up, and just in time! 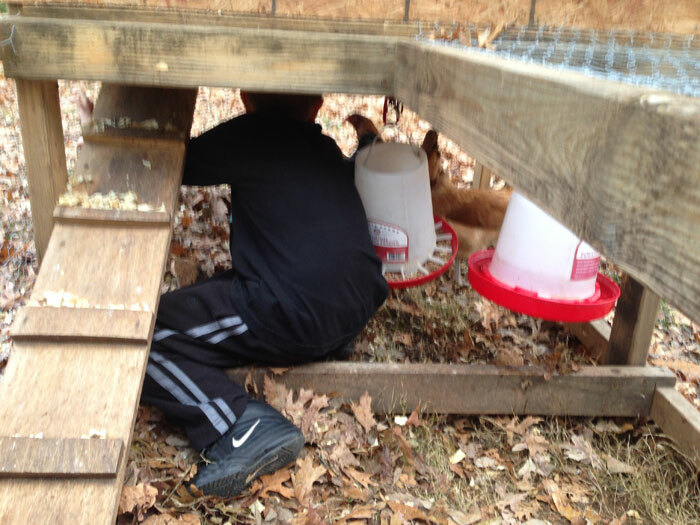 Only a day or two after it was “completed,” Michael brought the chickens in from Indiana and we transferred the old ones to their new home. 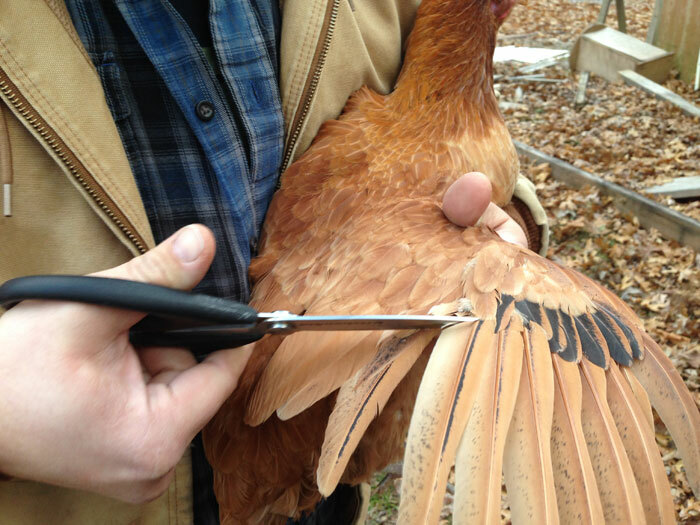 Beforehand, however, we clipped some of their wing feathers so that they wouldn’t be able to get out. Michael assured me that it wasn’t painful – it’s more like a haircut. Chickens can indeed fly, but without the longer feathers on their wings it’s much harder. My whole family was actually there at the time – but only my nephew was forced inside the chicken tractor. 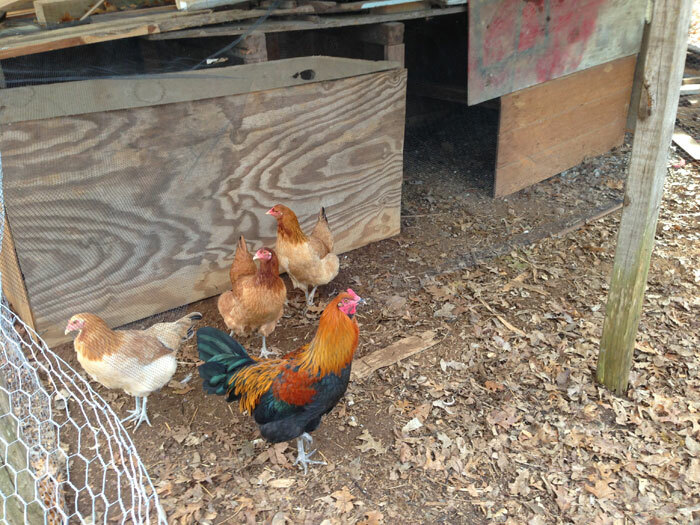 Apparently I forgot to get pictures of my new chickens, so here’s another picture of the old ones. They adjusted well to their new home. Then after I put the hen back in the run, I realized I only saw three chickens. 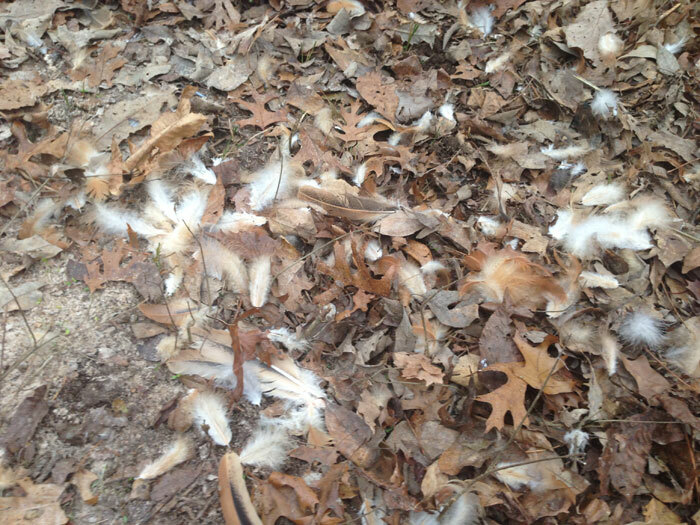 All that was left of the fourth was a few piles of feathers. I also saw a few turkey vultures roosting in the trees above, so I figured the missing hen’s carcass wasn’t too far away. I assume something grabbed both of them, but the pacing pullet got away while the other sacrificed herself. At least, it was that dramatic in my head. I was sad because something ate my chicken. Specifically, because something besides me ate my chicken. I got it plump and juicy for some thieving animal that now knows where I live. Unfortunately, I had a lunch meeting soon after, so I wasn’t really able to do anything at the moment. And then the day completely got away from me (because, you know, I have an actual job). And the next morning I woke up to seeing this out my window. 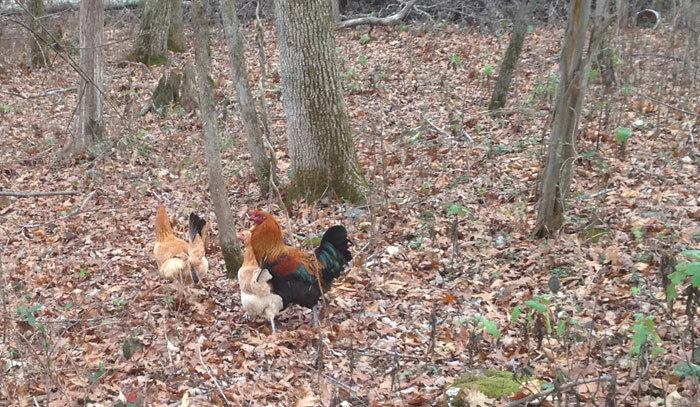 Yup, my three remaining older chickens were just prancing around in the woods. So, apparently they have no trouble getting out of the fence. I didn’t really know what to do, because I don’t want to spend much time (or any money) on my temporary coop, when I’m planning on building the permanent one soon. I did, however, find a big roll of plastic. It’s probably not very effective, but I just covered the run with the plastic, hoping that it would obscure vision if death came from above. If something does swoop down into the plastic, it would be like that scene in the movie “Unbreakable” where Bruce Willis falls into a covered swimming pool. 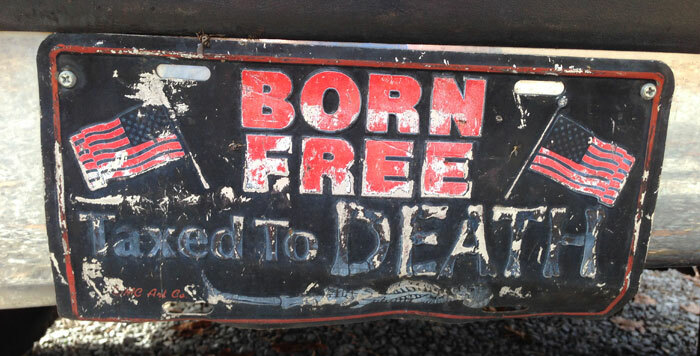 Except possibly a bald eagle instead of a bald dude. If something crawled in through the side, they’re still sitting ducks chickens. How much safer are these chickens? None. None more safe. In other news, I bought a truck! It’s a bit bigger than I planned on getting, but it was the cheapest diesel that I could find that would actually run. It’s stick shift, too, so that’s fun! It ran perfectly fine when I went to test drive it (it’s a little tricky getting into reverse), but when I tried to start it on Monday to get my emissions tested the battery was dead. Sigh. I plugged the battery up to a slow charger and left it overnight. The next morning was a bit colder, and – like me – diesels would rather not wake up when it’s cold and early. So I had to plug in the heating element for a bit before she fired up. It wasn’t until I passed a cop (no license plate, a note in the back window stating I was applying for tags) that I realized I’d also forgotten to get insurance on it. Eek! Luckily, the cop didn’t pull me over. Either he could read my note (fairly unlikely), he didn’t feel like writing any tickets that day (also unlikely), or he appreciates the hard working farmer and realized that anybody with a truck like that is hard working farmer. (Still probably unlikely) I think he was simply looking down as I passed, by the grace of God. I think this truck will fit in just fine on the Stevenson Family Farm, provided it continues to start. Also, the tenderloin of the roadkill I butchered was dee-lish! 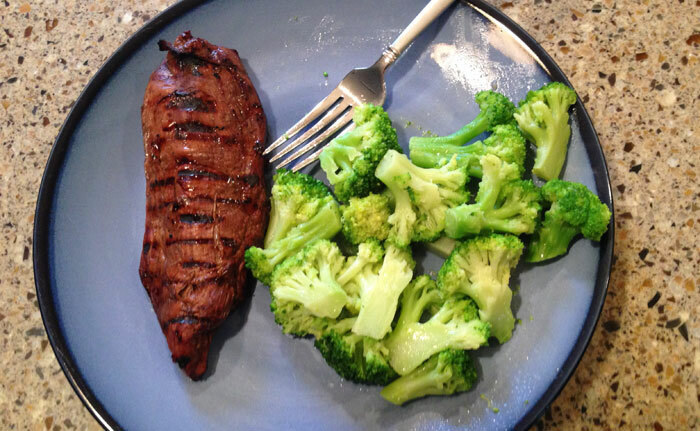 I know what you food critics are thinking… Yes, it was too much broccoli. 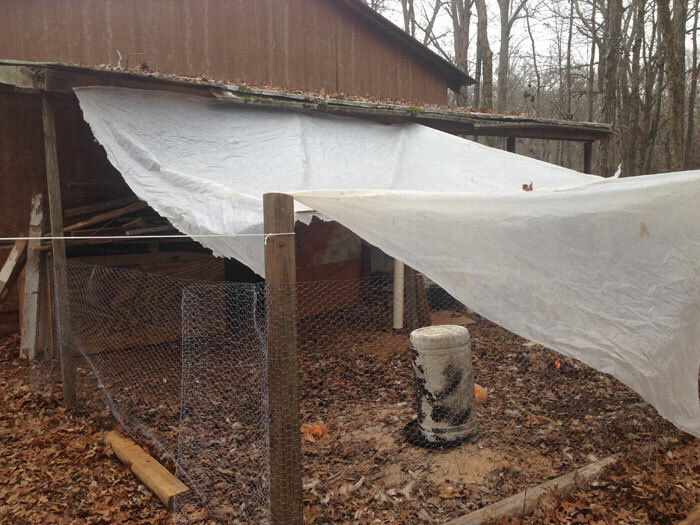 This entry was posted in Biodiesel, Chickens, Construction and tagged biodiesel, chicken coop, chickens, construction on December 11, 2014 by David. Wow! You are not kidding when you say “off the grid” 🙂 Great post! Good luck with getting bio-diesel working! Thanks! I don’t know when I’ll get on the biodiesel (I have too many projects! ), but at least now I can start gathering vegetable oil for a reason. Before then, I’ve got plenty of “stuff” all over my property that needs to be hauled away to either a scrap yard or the dump.